About Alaska Fishing & Lodging! Thank you for your interest in Alaska Fishing & Lodging. Here in the little town of Soldotna Alaska we specialize in peaceful, quiet, and easy going atmosphere surrounded by that beautiful Alaskan landscapes that grace the magazine covers month after month. If you’re looking for that personalized service and an outstanding Alaska fishing experience we hope you will take a moment to read on and discover our recommendations for the best fishing trips our 20+ years of experience helps us to offer. Alaska Fishing and Lodging is where it is today because of our guest, we are now trying to give back to our guest by showing them how to save money and line up a fantastic vacation. 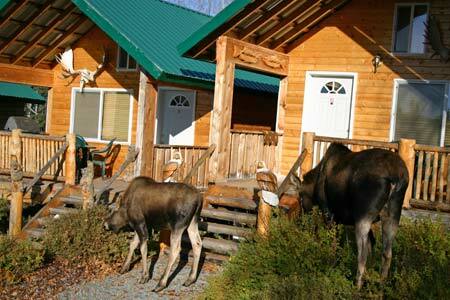 Our goal is for your Alaskan Vacation to be what its supposed to be Fun, Relaxing and memorable. Ty has made the task of building your dream trip as easy as possible with the build your own package options in the Alaska fishing packages pages. These time proven and client endorsed Alaska fishing & lodging package options are there for your use but special requests are gladly accepted and encouraged. Alaska fishing trips on the Kenai River near Soldotna AK are available for king salmon, silver salmon, sockeye salmon and rainbow trout too. It doesn’t stop there as fishing trips for halibut are available from the lodge as an add-on to the standard salmon fishing packages. We also offer trips up to the mountains of Kenai Peninsula for a full day gold prospecting. New cabins were added in 2003 complete with bathrooms with private showers, kitchenettes, high speed internet and cable TV. We have an outstanding reputation in the business and it is reflected in the reviews at sites like trip advisor and with the BBB and Chamber of Commerce here in Soldotna. We are firmly established seasoned professionals in Alaska fishing both in the freshwater rivers and in the saltwater too. There is a reason why eight out of ten of our customers are repeat clientele; we hope to add you to that list as well. We have day rates, two, three, four and six day packages that can be gladly customized to suit you personally. For those of you who plan to extend their vacation with some sightseeing or other adventure tours while in Alaska we have a list of day trips and scenic tours that we can provide for you upon request. There are flyout trips for bear viewing, gold prospecting tours, and day tours for whale watching and even some excellent glacier tours too. Our promise to you is simple. We will do our best to mix in a little sightseeing with a lot of fantastic fishing, provide immaculately clean and comfortable accommodations, competent and courteous licensed guides, well maintained and reliable equipment, and of course the best hospitality with that personal touch just for you. Our trips are a combination of fun filled days of boating, fishing, sightseeing and friendship. You’ll never forget your time with us as we strive to keep you engaged in the thrills of Alaska all day long. Whether for a day or for a week, the best Alaska fishing & lodging package you’ll ever have is just a simple call away. Alaska has boat loads of salmon, abundant trout and halibut galore too! 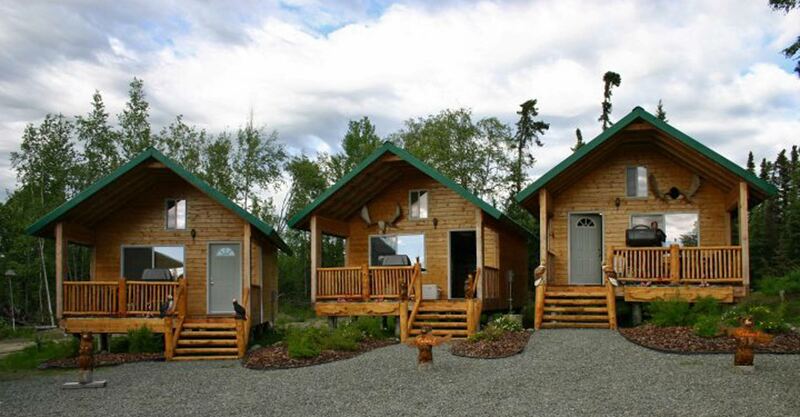 Call today and see how affordable your Alaska dream can be. We are here by the phone so call today Toll Free 1-907-262-1521. Let’s see if there is a trip waiting just for you! Bring the whole Family !